Can be configured with either a narrow or wide top, depending on where your state displays its renewal stickers. 1.) Please specify if you would like the narrow or wide section at the top. 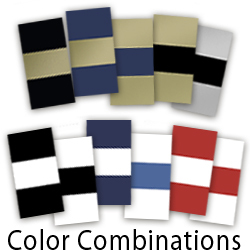 Available with 11 different color combinations Please specify desired color combination in the box provided.